What a year this is turning out to be! I feel like I’ve been thrown up in the air and have landed back on the ground with a bump and everythings scattered around me. This year has been one thing after another, in fact last year wasn’t that brilliant either! 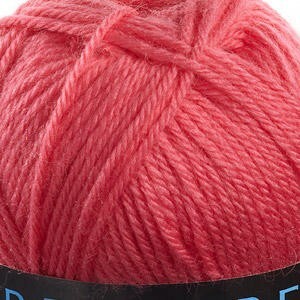 I started the year with a direction in my head of how I wanted to see the wool business grow, of what Knitting yarns I wanted to stock and how I wanted the website to look. I made good progress working in the back of the old website to restructure things and added new products on the website in January and February…..catching up from having had too many distractions towards the end of last year. Half way through February, I discovered that Microsoft were deleting Microsoft Office Live which was what my website was hosted on. All the work I had put in was to be wiped off the face of the internet. Eventually, we got back on track with a brand new website with much better features than the old one and much more professional, I just needed to load it up with products…..
Loading products on has been a much slower job than I had anticipated and by the end of May, my surgery was drawing near and I still had a lot to get onto the website. Trying not to be too stressed out by it I decided this was not a bad thing, if there were not many products on the site, it wouldn’t end up being too busy while I recovered from my op and I could get things loaded on while I got better. 5 weeks post op and I was feeling totally and utterly rubbish, I was getting worse, not better. An appointment with the doc on the Wednesday, blood tests on the Thursday and Friday the 13th, a phone call from the doc asking me to go in for a d-dimer test (a finger prick test to test if you have any blood clots). The test showed positive and I was packed off to A&E for a delightful Friday the 13th! I really thought I was on a wild goose chase, I didn’t think for one minute that I would have blood clots on my lungs, that was something that happened to other people! A CT scan proved the d-dimer right and found multiple clots on my left lung and lower right lung…….jeez, no wonder I was out of breath. I’ve been home now for just about 24 hours, I spent 5 nights in hospital in total but it felt like forever. The website ticked over while I was in with a dear friend keeping up with the orders, she did a mighty good job and I’m eternally grateful. I’ve had a stressful day today with other things I don’t need to go in to and spent a big part of the afternoon taking my mind of it by adding products to the website. 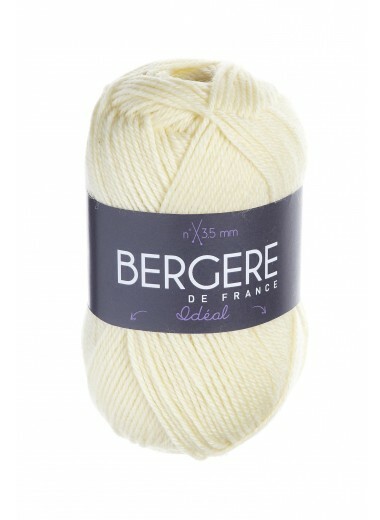 I only managed to add the Bergere de France Ideal, but there are 35 shades in total, 25 of them we keep in stock so it takes time getting them on. 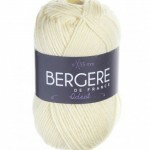 I have 3 boxes of Bergere de France yarn to sort and get on the website and that’s before the new Debbie Bliss and Louisa Harding starts landing over the next few days! 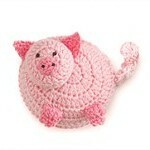 Tomorrow there is a delivery from Lantern Moon and Namaste due so I’m quite excited about that too! Anyway, I think that puts you in the picture where we’re up to! I hope now that I can start to get back on track but the clots on my lungs will hold me back a little until they start to dissolve. I’m on Warfarin but that just stops more clots from forming, it doesn’t remove the ones already there! My mission over the next few months is to firstly get better, and secondly, get the website up to date. I’ve lots of knitting planned and that’s good physio so I should soon start churning out some finished items to show you! I think I’ll be back at the Farmers Market in September, I was hoping for August but it just seems so soon. I know I won’t be well enough to do it but I might entrust it to someone if I’m well enough to just ‘oversee’ it. We’ll see. This entry was posted in Knitting Wool and tagged bergere de france, bergere de france ideal, blood clots, crocheted tape measures, Driffield Farmers Market, Humber Bridge Farmers Market, knitting, knitting yarn, lantern moon, lantern moon ebony needles, lantern moon tape measures, Little Houndales Knits, pulmonary embolism, warfarin. Bookmark the permalink. 7 Responses to What a year…ops, clots, website and yarn! Glad you got to the bottom of why you felt so rotten and hope you soon feel 100%. I must try and get the farmer’s market when you’re back. I recently started knitting again ( blaming the ladies at the needlework club I go to!) and yarn is so tempting! 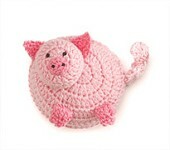 Love that cute little pink piglet!